Having worked my entire career for small presses, I've received the "why isn't my book in the bookstore?" email many many times from authors. Most new authors assume their books are going to be carried in any brick-and-mortar store they go into; savvier authors who've been around the block a few times know that it's not that cut and dry. And it's only becoming harder in today's publishing climate, as more and more books compete for less and less shelf space. And if you're a self-published author, you're operating at a significant disadvantage. Though your local bookstores might support local self-published authors, without traditional distribution, it's almost impossible to get your book carried beyond your local mom-and-pop store, let alone to get a non-local bookstore to host an event for you. Bookstore buyers are considering thousands upon thousands of newly published books to stock in their stores every year, from which they will purchase hundreds. The books that get the most attention are those that have sales reps behind them, meaning books that are tied into some sort of distribution model, whether that's Random House's own sales force, or a sales force that carries many publisher accounts (like PGW or Ingram Publisher Services). If you are published by a press that has a sales force, the reps are selling your book into bookstores, but even so, buyers are mostly taking ones and twos, if not passing altogether. Compelling reasons to carry your book include you (1) being a local author; (2) having strong publicity backing your book; or (3) proving that you will bring in the readers/buyers. If you don't have any of these three things, you're a tough sell. It's a hard truth that it's simply easier to carry books from authors that seem like a "sure bet." This is why it's so critical to have a publicity and marketing plan in place, and to communicate this plan to your sales force/reps (if you have them). Publicity hits can be a reason for a rep to go back to their accounts to convince them to carry a book they might have previously passed on. Your publisher may be taking this on themselves, but if you have an outside publicist (and many authors do these days), then you and/or your publicist need to keep communicating your hits to your publisher to pass along to the reps, which in turn creates more visibility for your book--in bookstores and elsewhere. If you're self-published, you are at a severe disadvantage when it comes to getting your book into brick-and-mortar stores. Some bookstores even have a policy against carrying CreateSpace books (because they're anti-Amazon). Even if you've opted into "expanded distribution" programs, your book is not likely to be carried in bookstores. Bookstores mostly prefer not to deal with self-published authors because too few of them understand the ins and outs of this returns-based industry. Buyers are wary of getting saddled with non-returnable inventory. If books aren't easily accessible, set at the right discount, and readily returnable, bookstores simply don't want to deal. They opt out, and self-published authors are marginalized as a result. Reviews still drive buys, and anyone who tells you they don't is misinformed. Reviews from the industry magazines/sites (Publishers Weekly, Kirkus, Booklist, Library Journal, and Shelf Awareness) drive buys from bookstore buyers, librarians, and special accounts--especially in categories like literary and upmarket fiction, and memoir. But reviews matter across all genres, really, because buyers are reading industry magazines as a way to help them decipher what's what. Books that are getting reviewed are rising above the noise. This is another reason self-published authors get marginalized, too, because having their own review outlets (like Publishers Weekly's Select and Kirkus's Indie Reviews) just draws attention to their self-published status, and book buyers are not reading those sections in deciding what to carry in their stores. In fact, I don't think book buyers are reading those sections at all. Your entire job in the months following your publication date is to get your name out there. Post-publication publicity and marketing should be a full-time job, though few authors have time for that. The more exposure you can get, the more reason a bookstore has to carry your book. You can walk into any bookstore in the country, too, and ask them to carry your book. If you are distributed by a major distributor, lead with that. Bring a copy of your book to show, and also give the bookstore good reason WHY they should carry your book. Do you have a local community that you will drive to their store? 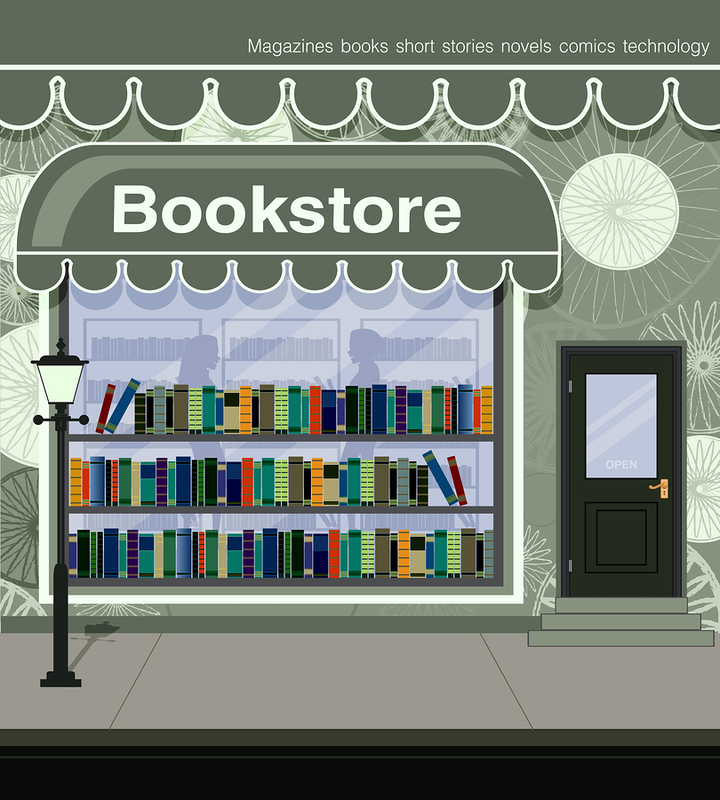 Will you blog about their bookstore and encourage people to buy there? Put a link on your site encouraging readers to buy from that store? I've seen many She Writes Press authors get events at exclusive bookstores simply because they talked up the buyer and made a compelling case. But keep in mind that bookstores are trying to sell books, and they are not in the business of carrying a book just because it exists. You need to help the bookstore help you. Finding ways to do that might result in a veritable coup for you and your book, but there's no way to do it other than one bookstore and one relationship at a time. To conclude here, don't assume that just because you have a publisher or a distributor that your book is going to be in bookstores. Your distributor's job is to keep the channels open and flowing. Distribution means that your book is readily available and easy to get. Distributors provide the systems and the data processes that make books visible and easy to order and return. They ensure there are no obstacles for the buyers, and because they will have presented your book to buyers, if a rep has a reason to go back a second or third time to pitch your book, a store might very well take the buy. But remember, your job is to give reason, and to be working all the angles to make your book attractive to buyers. Your publisher may very well be working these angles, too, but don't assume they are. If you're doing something on your own, or through an outside publicist, let your publisher know and explicitly ask that they pass the info along to the reps. It's astounding how busy people are today, which means that you need to stay on their radar. And the only way to do that is to keep showing up.